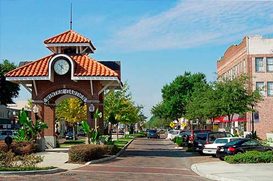 The City of Winter Garden is referred to as a modern-day Mayberry by its residents. Take a stroll through its historic downtown on Plant Street you’ll witness firsthand the vibrant community it serves. The Orange Trail offers Art Studios, live theatre, bicycle stores, flower shops and a wide range of restaurants. Winter Garden is also a great location for those interested equine properties and facilities, and it has a great reputation for many other outdoor activities. Winter Garden was ranked by Forbes.com as one of the fastest growing suburbs. It is a place for families and businesses to grow.